Take the stress out of gaming with these fab, Nintendo inspired stress balls. 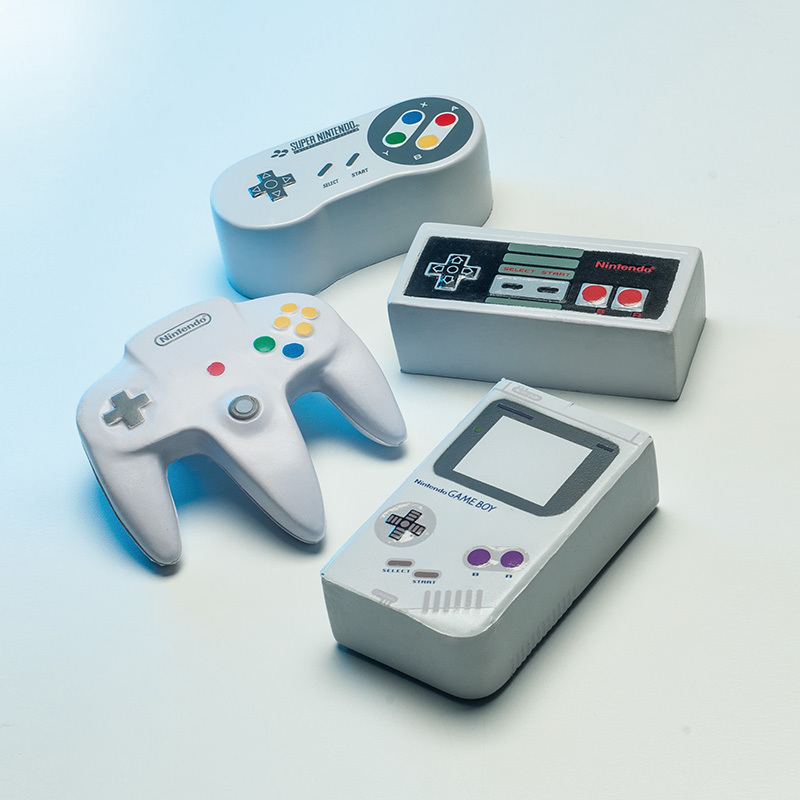 These wonderful stress relievers are in the shape of four of the brand’s most iconic controllers. Whichever game is causing you trouble, just hit pause and relax with one of these instantly recognisable games controller stress balls. Then, when you’ve composed yourself you can dive back into the action! The designs include a Game Boy and controllers from these three classic consoles, N64, NES and SNES. This 12 pack of stress balls contains three of each design. Japanese multinational video games company Nintendo has been one of the world’s most popular suppliers of games consoles for the last 40 years. Releasing classic consoles such as the NES, SNES, N64, and the Nintendo Wii, and well known handheld gaming consoles like the Game Boy and the Nintendo DS – which sold over 150 million units worldwide, this well loved brand has been bringing joy to people’s lives around the world for decades. Not only has Nintendo been responsible for some of the best games consoles of all time, but it’s also spawned some of the industry’s best loved games and characters from Super Mario to Donkey Kong. The Nintendo Stress Balls are an officially licensed Nintendo product.